To narrow down the flooring option that is right for your home, it’s best to hire a professional moisture testing company to test the levels of moisture in your home. The chemical compound that creates epoxy flooring cannot adhere to surfaces well in areas with high humidity. While there are things that you can do to reduce the humidity in a home, it can be quite a hassle to get a home with high humidity to the levels that would be needed to apply epoxy flooring. So, if your home has high humidity levels, polished concrete flooring may be the best option for you. As you may have guessed, polished concrete flooring can only be done to concrete. This limits the ability to have the flooring done in your home if you do not have concrete floors. Epoxy, however, can be applied to just about any hard surface, making it ideal for most homes. If you want your home to have a lot of character and show your unique personality, you may want to consider adding color to the floor. There are concrete dyes on the market that you can use to dye the concrete floors in your home. There is also colored epoxy available that can be applied to the floors to create the colored look you want. Once the epoxy is applied to your floors, it takes 18 to 24 hours to cure enough for you to be able to walk on it without damaging it. The curing times of polished concrete are much longer, between two and four weeks. 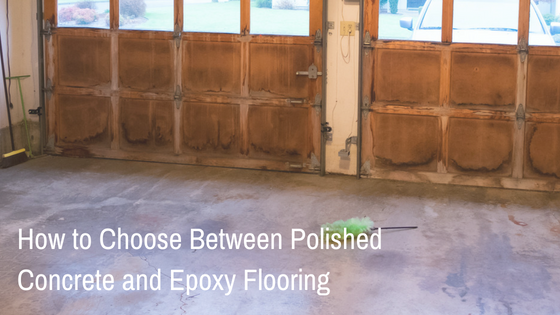 So, if you are in a hurry to use the area where the flooring is being updated, epoxy may be the best option for you. The great thing about epoxy is that it can be used indoors and outdoors. You can combine the epoxy with aggregate gravel and create a patio space anywhere you choose by creating a frame and flattening the area. Be sure to put a UV protectant in the mixture to keep the flooring from yellowing over time. Both of these flooring options are affordable and long-lasting. 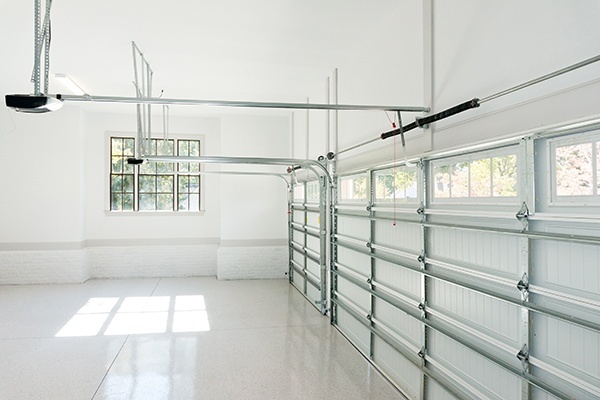 If you are still debating about which option is right for your home, you can have a professional from Boston Garage come into the space you plan to update and tell you which option would be the best for you and why. This allows you to make an informed decision that you can be happy with for years to come.